This is the first installment in The Plant Speaks, an ongoing series of personal notes from the members of 10 Ft. Ganja Plant about their favorite albums. It was late in the summer of 1997, a considerably brighter time. The economy was on track (at least when compared to today’s vicious state of affairs), and those who spoke out against the government did so because of clandestine oral operations in the oval office. By today’s standards, such issues may seem trivial, but such was life in the last days before the ugly dawning of the Bush Era; or as Obi-Wan Kenobi would have called them, the Dark Times. It was also a great time to be awakening to the world of roots reggae music. Even out in the so-called “Quiet Corner” of Connecticut, rumours of frequent reggae shows filled the air as a barrage of classic Jamaican bands were beginning a short-lived string of tours. At about that same time I started to see the first re-issue labels popping up, providing the masses with much sought-after quality roots music. The shows were plentiful, but as any serious reggae freak knows, we Must Have Our Fix. This need to expand my musical horizons stemmed from first hearing a particular Lee Perry album a couple years earlier (but that is a story for another time), and saw me next buying albums from anyone I could associate with the great Producer. My bredren and I would drive with furious, knock-your-balls-back-into-your-throat speed from rural CT to locales as exotic as Burlington, VT in search of the next big score. 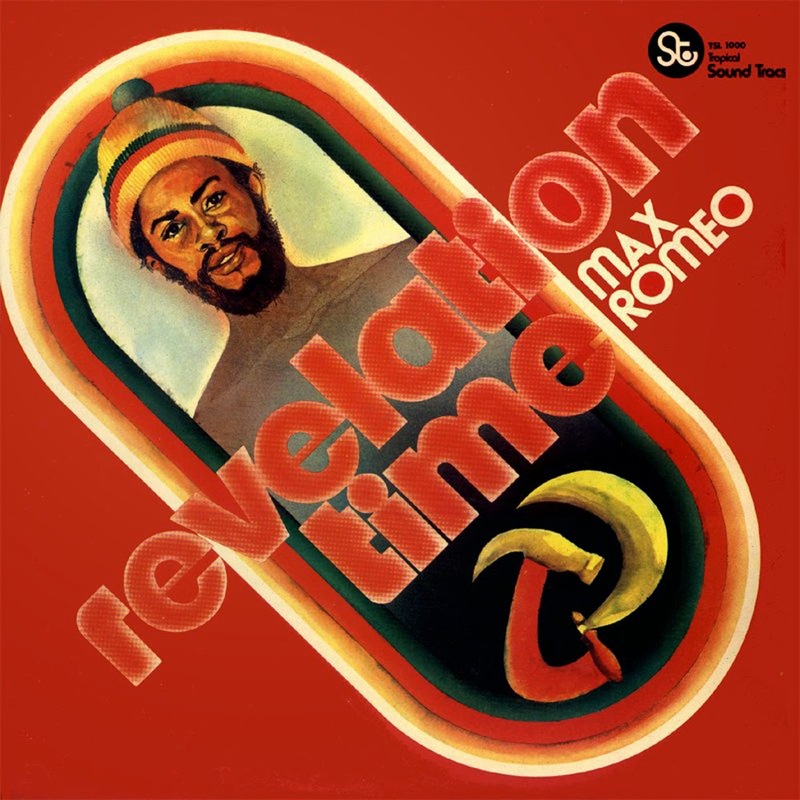 It didn’t take long, of course, to discover the incredible Max Romeo. War Inna Babylon is probably one of the first albums any roots fiend finds. But despite the brilliant Perry production and the superb Upsetters riddims, our insane lust for ever-deeper grooves drove us to look for lesser-known material. On one of our search-and-consume missions to RI, Max Romeo would throw us the ultimate curveball. When my friend pulled the five-dollar cassette from the closeout bin, he had know way of knowing that, by the end of the ride home, I would be offering him several times that in exchange for the tape. And there was no way he was giving it up. 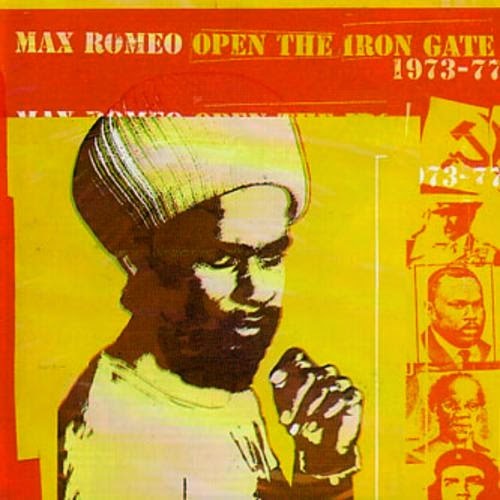 At first glance, there was nothing striking about the lone copy of Open Up the Iron Gate except the name Max Romeo. As we prepared for the trip home, my bredren decided to first try the other tape he had bought (Wally Badarou: Words of a Mountain; only recommended as a gift for people you don’t particularly like) simply because he associated the artist’s name with the Countryman soundtrack. The ensuing cacophony nearly resulted in the loss of both our lives in a near-collision caused by a spastic aneurism-type reaction from the driver. We were forced to pull over and roll a spliff for mental re-calibration and to shake off the bad craziness of a few moments earlier. At that time, my bredren was growing pure Hawaiian sativa that tasted like ripe tangerines. As its pungent smoke filled the car, the Wally Badarou tape was thrown into a deep lake (leading, I suspect, to the deaths of many unfortunate fish), never to be heard again. It was now definitively Romeo Time. As the first strains of “Revelation Time” etched themselves permanently into my brain, I suddenly felt at Home. Spiritually, that is. Even there in the heart of that bizarre and foreign land of Rhode Island. Probably one of the last places you expect an epiphanic reggae experience. Yet there we were, absorbed completely in the rolling bass lines and crackling drumbeats. The sparseness of the instrumentation was complemented perfectly by the crunchy production and, when combined with Max’s meditative vocals and dread lyrics, provided the sonic neutron bomb that would blow our collective mind. Somewhere mid-way through “Blood of the Prophet” everyone in the car was laughing melodically with the riddim like some type of crazed laudanum freak in a silent German impressionist film. I have never been so completely out of my tiny little mind except when under the influence of salvia divinorum (thankfully, those days are over). And this insane musical reaction was probably the catalyst that would kick my berserk lust for deep reggae music into overdrive. From there it went to Ras Michael, to Yabby You, to Sang Hugh, Lennie Hibbert, and Far Beyond. If Lee Perry’s Soundzs From the Hot Line had been the gateway drug that kickstarted my reggae habit, then Open Up the Iron Gate was almost certainly the vicious hard stuff that would fling me wildly into a great morass of deep roots music from which I am likely to never escape. And for that I am eternally grateful. So while I may not be a critic or reviewer, as a daily habitual user of reggae music, I can tell you to avoid this album if you don’t want to foster a lifelong obsession with vintage Jamaican music. If, on the other hand, you are looking for the perfect album to send you plunging head-first into the neverending depths of quality roots and culture music, you need look no farther for your springboard. Revelation Time is here to stay. And if your brain never fully recuperates (or feels any particular need to), remember You Have Been Warned.